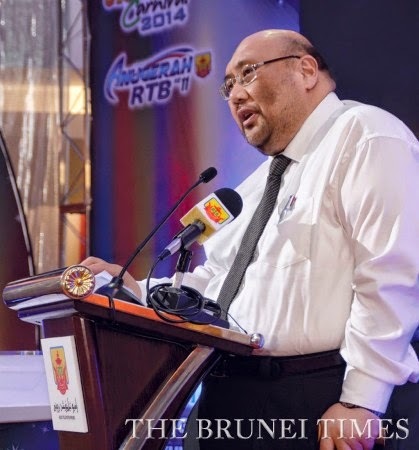 THE public should rely on Radio Televisyen Brunei (RTB) and not through social media for more valid and accurate information, a senior government official said yesterday. Hj Md Rozan Dato Paduka Hj Md Yunos, the Permanent Secretary at the Prime Minister’s Office (Media and Cabinet), said that many people today obtain information faster via social media. 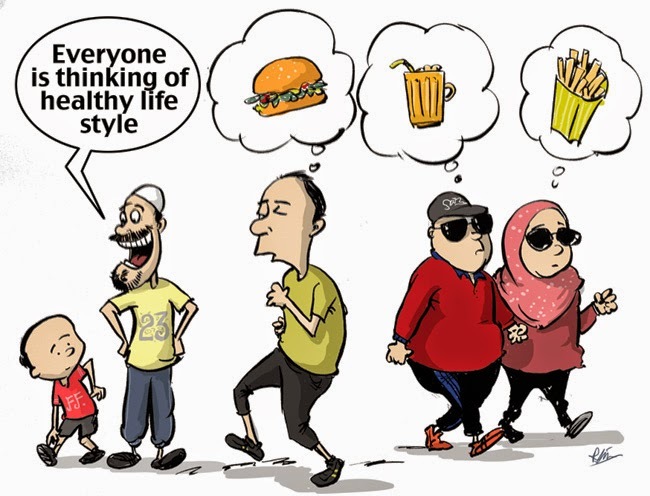 However, the information is often innacurate and inconsistent with information presented through proper media channels. “”This is one of the major challenges faced by RTB today,” Hj Md Rozan said, adding that the dissemination of false information could cause widespread panic and agitation. He was speaking during the launch of the RTB Media Carnival at Times Square yesterday. To overcome this issue, the Permanent Secretary urged the state broadcaster to also play an active role in social media. BANDAR SERI BEGAWAN, Friday, November 28, 2014 - JOBSEEKERS applying for government jobs will be able to submit and track the status of their applications online next year. His Majesty Sultan Haji Hassanal Bolkiah Mu’izzaddin Waddaulah, the Sultan and Yang Di-Pertuan of Brunei Darussalam announced the new online recruitment service in a titah yesterday during the 21st Civil Service Day celebration at the International Convention Centre. The monarch said this would help fix the delay in government’s work in recruiting and filling up vacancies. The new service will allow jobseekers to submit their applications online, including completing the forms and making automatic data entry. They will also receive acknowledgement (of receipt of applications), and notice of interview and results of their application within a short time. BANDAR SERI BEGAWAN, Thursday, November 27, 2014 - THE National Archives of Brunei Darussalam was established in 1977 to house and preserve for posterity government and public records and historical documents. 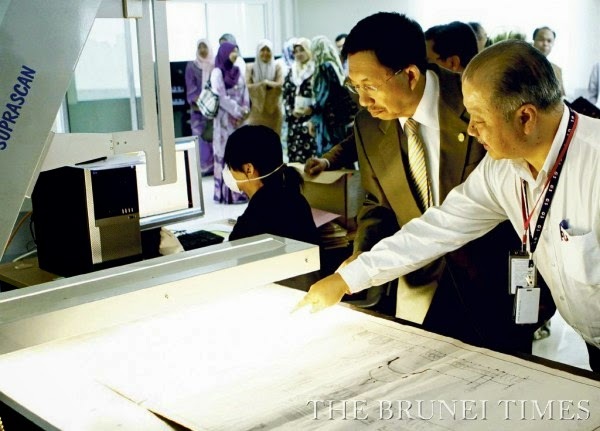 Senior archives officer Hj Mohammad Jefri Hj Mohd Sabli said the various roles of the public records office were set out in the National Archives of Brunei Darussalam Act, 1975 (Chapter 116), 1983. “The centre does not only keep records and archives but also authorises the disposal of public records. This includes identifying, appraising, registering, archiving, securing, preserving and conserving national documentary heritage principals,” he said. The building also facilitates access to public records for research and reference. “We also assist in asserting the national agenda in the form of information sharing and education,” he said. Public consultancy services are also offered in record-keeping management, including conventional and electronic records. 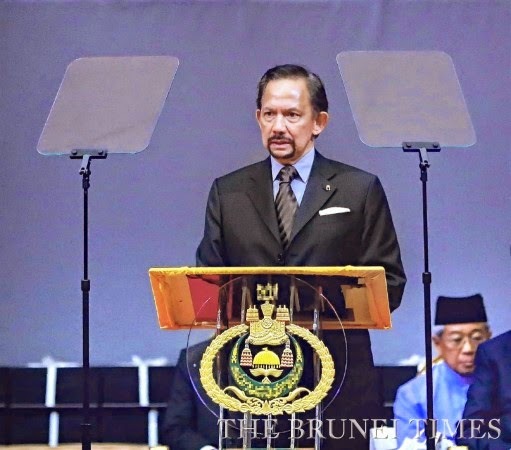 Wednesday, November 26, 2014 - OXFORD Business Group spoke to His Majesty Sultan Haji Hassanal Bolkiah Mu’izzaddin Waddaulah, the Sultan and Yang Di-Pertuan of Brunei Darussalam for "The Report: Brunei Darussalam 2014". Here are excerpts from the article. What is being done to encourage more efficient energy use in Brunei Darussalam? BANDAR SERI BEGAWAN, 26th November 2014 - The government's proposal to build apartment blocks under the National Housing Scheme (RPN) has received a positive reaction from the public. According to the Minister of Development, Yang Berhormat Pehin Orang Kaya Indera Pahlawan Dato Seri Setia Awg Haji Suyoi bin Haji Osman, the results of the surveys which have been carried out twice found 70 per cent agrees the construction of the housing project. However, Yang Berhormat Pehin said the ministry has also received the input from the public towards the project's improvement and will consider it. BANDAR SERI BEGAWAN, Wednesday, November 26, 2014 - BRUNEIAN companies need to consider merging to expand their businesses and operate regionally by next year, said the regional editor of the Oxford Business Group (OBG), a global publishing, research and consultancy firm. 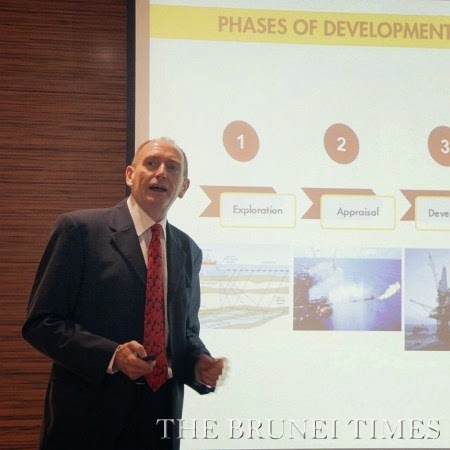 As ASEAN moves towards forming an integrated regional economy and single production base in 2015, Brunei should already focus on growing its companies to move abroad, Paulius Kuncinas (pic) told The Brunei Times. “You have to encourage them to grow their revenues. 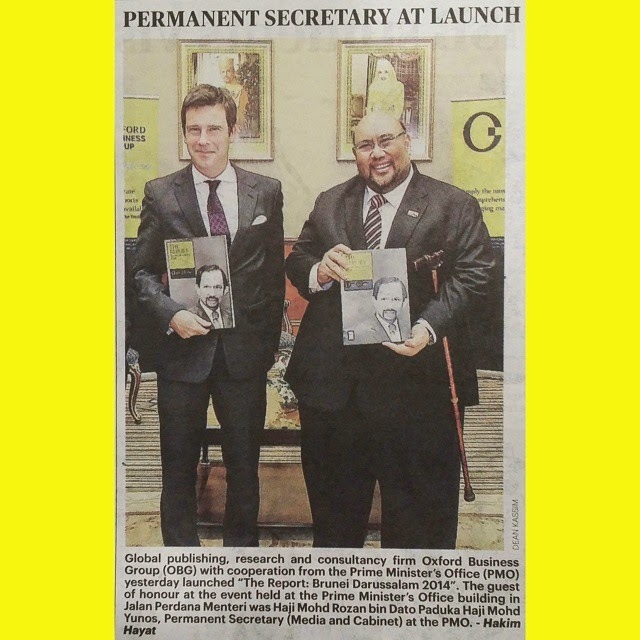 Maybe consolidate, maybe you have companies merging and going together,” he said, following the launch of the firm’s annual publication The Report: Brunei Darussalam 2014 at an event held at the Prime Minister’s Office in the capital yesterday. He said Brunei needs to trade more with its neighbours and this requires the private sector “stepping up” and going overseas. KUWAIT, Nov 23 (KUNA) -- Trade exchange between Kuwait and Brunei, which is estimated at USD 6 billion, is below the aspired levels regarding the bilateral historical ties, a senior Finance Ministry official said on Sunday. There is common expectation to enhance bilateral economic ties and trade, Ministry Undersecretary Khalifa Hamada said in a press statement on the sidelines of the second meeting of the Kuwait-Brunei Joint Committee (KBJC) that opened here today. Hamada who chairs the gathering with his counterpart from the Sultanate Ministry of Foreign Trade, said the agenda of the two-day meetings covers a review of cooperation in fields of economy, trade, investment, higher education, petroleum and IT, as well as the private sector. BANDAR SERI BEGAWAN: The capital's town centre became the focal point when the final of the Go-Kart race was held yesterday. 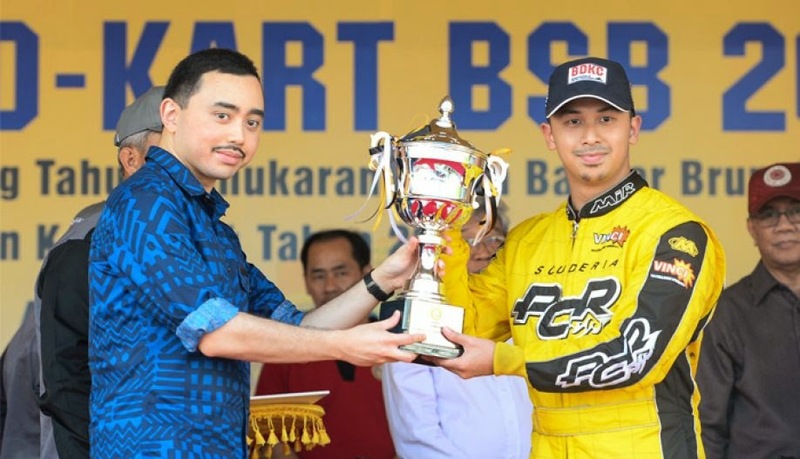 His Royal Highness Prince 'Abdul Malik consented to launch the race which was organised in conjunction with the 44th Anniversary of the name change from Bandar Brunei to Bandar Seri Begawan. Upon arrival His Royal Highness was greeted by the Acting Minister of Home Affairs, Yang Dimuliakan Pehin Datu Lailaraja Major General (Rtd) Dato Paduka Seri Haji Awg Halbi, as Chairman of the Bandar Seri Begawan Go-Kart Race 2014 as well as members of the race's executive committee. Before officiating the launch, His Royal Highness was introduced to the race participants. The championship was divided into three categories - Novice, Veteran and Elite. More than thirty five racers competed in the finals including seven participants from overseas namely Oman, India and Malaysia. 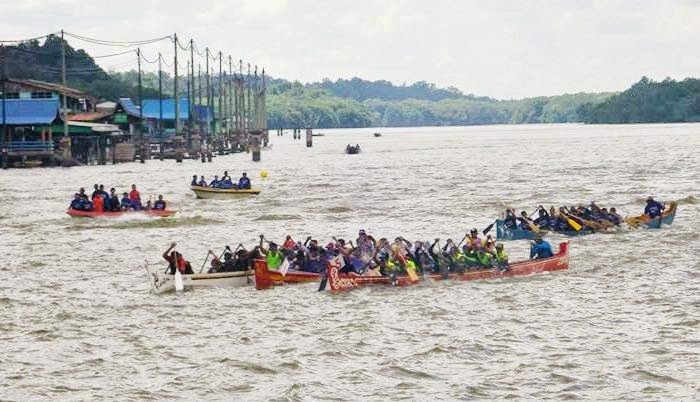 BANDAR SERI BEGAWAN: Brunei River became another attraction yesterday with the Youth Traditional Boat Race 2014. Participants competed in eleven categories. The 25 Invited Peddlers 100 Metres, and the 30 Youth Peddlers 1,500 Metres Traditional Boat Races which were launched by Yang Amat Mulia Pengiran Lela Cheteria Sahibun Najabah Pengiran Anak Haji Abdul Aziz bin Pengiran Jaya Negara Pengiran Haji Abu Bakar. Other events included the Open Jetski Run About race. The Kampong Sungai Bunga Youth Boat Racing team won the 1,500 metre event. Second place went to the Kampong Lurong Dalam Boat Racing Council, while WAKTU Brunei Darussalam team came in third. Yang Amat Mulia presented the prizes, medals and trophies to the winners. The Yang Amat Mulia's Rotatory Trophy was won by the Kampong Sungai Bunga Youth Boat Racing Team. I WAS walking past vendors’ stalls at a trade fair when I saw this exotic food item I had last seen a few years back. It was minyak engkabang. It looks like a large yellowish glue stick encased in bamboo. It was on display recently at an exhibition of products made by various villages. Building a model or replica boat, no doubt, requires a lot of time and patience. Made of small-scale pieces, the models are intricately assembled all by hand. While the construction process differs from how life-sized wooden boats are built, it still requires some expertise nonetheless. 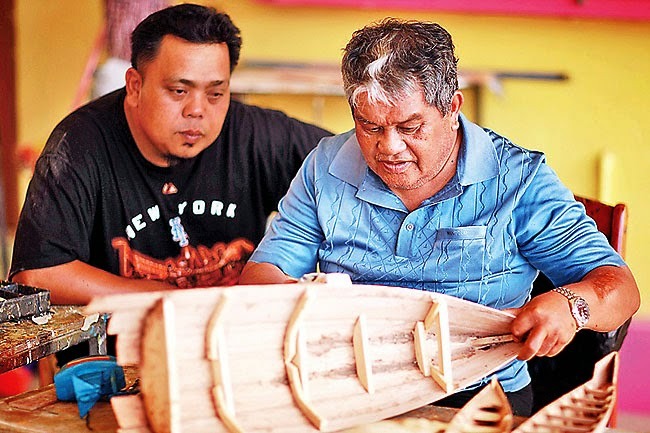 One of the few local Bruneians who are into making model boats (or Perahu as it is called in local Malay) is Hj Abdul Rahim bin Hj Ahmad from Kampong Mentiri in Jalan Kota Batu. What he initially started as a passing interest while he was still working has now become a serious hobby for him. The 64-year-old ex-policeman collects woods for his models from the local sawmills at reasonable prices. The woods he normally uses are Meraka Merah, Meraka Putih, Kayu Kapur and the tough and sensitive wood of Madang Sisik. Saturday, November 22, 2014 - BRUNEI has maintained its 30th rank in the 2014 United Nation’s Human Development Index (HDI). 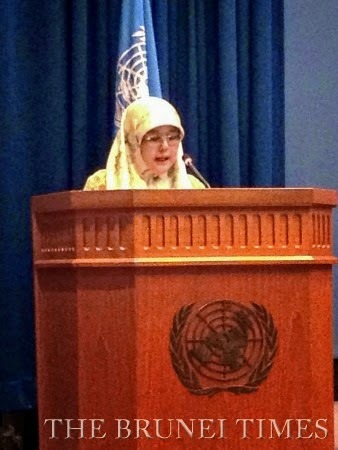 This was due to the effectiveness of policy and manifestation towards achieving the country’s Vision 2035 which focuses on improving and raising the people’s quality of life, Deputy Minister of Culture, Youth and Sports Datin Paduka Hjh Adina Othman said during a conference held recently in Bangkok. The Asian and Pacific Conference on Gender Equality and Women’s Empowerment: Beijing + 20 Review Conference was held from November 17 to 20. Issues related to the advancement of women are handled under a special committee on family institution and women under the National Council on Social Issues. The deputy minister added that the country’s emphasis on education is another reason for the progress, that the government has allocated 13 per cent of the annual national budget exclusively on education. BANDAR SERI BEGAWAN — Largely ignored by tourists for decades, Brunei is finally stirring as a holiday destination, drawing more tourists with its pristine rainforest as well as quiet and safe image. The oil-rich kingdom on the northwest coast of Borneo has the potential to become an ecotourism hub due to its untarnished rainforest in the heart of Borneo, after being sidelined for years by more popular tourist spots such as Mt Kinabalu in neighbouring Malaysia, tourism industry officials and travel agents say. 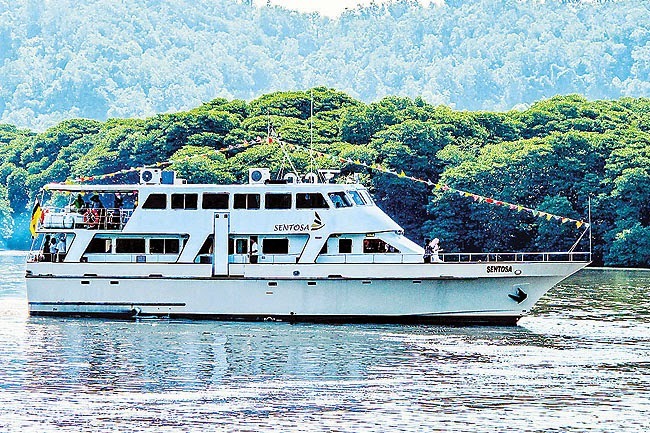 Tourists to Brunei have risen in recent years, with more cruise ships calling at its port while travel agents have also been including Brunei as part of their regional itinerary. Some 3.3 million visitors came to Brunei last year, up from about 2 million in 2007, according to data from the Brunei Tourism Development under the Ministry of Industry and Primary Resources. LAPAU, BANDAR SERI BEGAWAN, 21 November 2014 - Media practitioners are the first in line to distribute and broadcast accurate information as well as having the right accountability. A media sharing information programme and the government agencies act as a medium in sharing knowledge between the government with the government and private media. The Assistant Senior Chief of Adat Istiadat Negara, Yang Amat Mulia Pg Seri Wijaya Pg Hj Ahmad Pg Md Yusof highlighted the matter at the Knowledge Sharing Session ceremony yesterday. According to Yang Amat Mulia, the existence of the open communication network will enable media to broadcast and disseminate the correct information to the public without affecting the image and reputation of the Monarch and the Government. Yang Amat Mulia also said the Public Communication Committee for the Government and its Departments will also be use as a bilateral platform between the Media and the Government. MANILA, Thursday, November 20, 2014 - SHELL International’s VP for Exploration in Asia and Australia yesterday said he is very confident there is more oil and gas in Brunei, and is looking to see how undertaking exploration can be economically viable for Brunei Shell Petroleum Company Sdn Bhd (BSP) and the government. Speaking to The Brunei Times here in Manila on the sidelines of a briefing of the Philippines Malampaya Deep Water Gas and Power Project, Graeme Smith said his role as VP for exploration is to try and find new hydrocarbon pools in Brunei. “I am very confident that there is more oil and gas in Brunei. What I would love to see, double check and have a conversation... is how we can make those rewarding for both Shell and the government,” he said. TODAY in Brunei, students have a choice of four universities to choose from, all fully funded by the government. However providing education has not always been as easy as it is now. 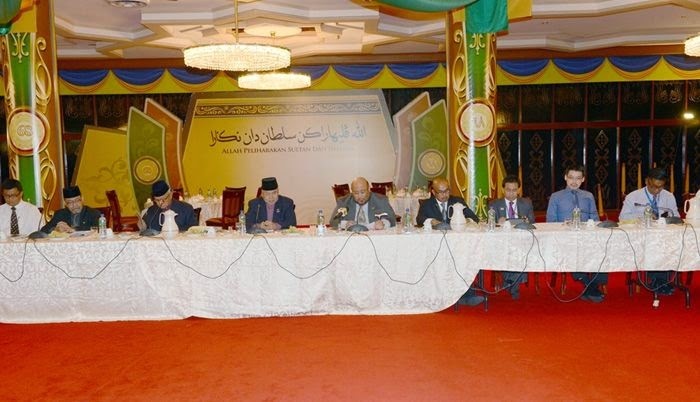 We look at the early development of education in Brunei. When the British Resident first began his duty in Brunei in 1906, the education system in Brunei was along the line of religious education with “sekolah pondok” and students being taught the rudiments of the Islamic religion as well as how to read the Al-Quran. BRUNEI Tourism received a major shot in the arm as cruise vessel MV Sentosa was launched yesterday. Pehin Orang Kaya Seri Utama Dato Seri Setia Awang Haji Yahya bin Begawan Mudim Dato Paduka Haji Bakar, Minister of Industry and Primary Resources, said cruising along the Brunei River in the comfort of a spacious vessel is an attractive and value-added service not just for in bound visitors but also for domestic activities and tourism. The minister spoke to the media while cruising the Brunei River after the vessel’s launch. A river cruise provides a different mood altogether, for example a sunset river cruise while enjoying sumptuous buffet dinner, holding an event such as a celebration providing memorable takeaways for the passengers and touring the pristine river that is still in its natural state. River cruising is a niche market. Innovative agricultural initiatives launched in Brunei Darussalam, such as developing new rice hybrids and growing plants in water, underline how agro-technology can edge the Sultanate closer to its goal of food self-sufficiency. Figures released by the Department of Agriculture and Agrifood (DAA) in November showed that the agrifood sector, which excludes livestock and crops, made up nearly 30% of the overall industry in 2013, with a total value of $86.2m representing a 37% increase year-on-year. Between 2009 and 2012, the agrifood industry represented 22-23% of the sector. 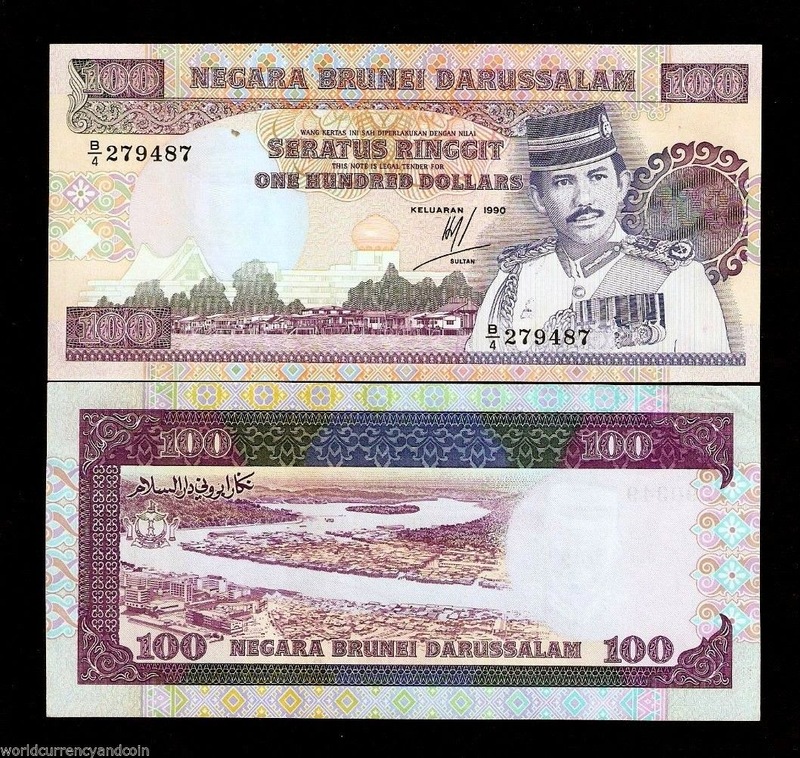 NOVEMBER 7, 1994 – The Brunei $100 notes are back. They will reappear once again over the counter and in ATMs at local banks as from today. This follows a directive from the Brunei Currency Board to the Association of Banks over the weekend, bank sources said. Banks were told to put them back into circulation with immediate effect. According to sources, Brunei $100 bills began to disappear from the public eye following an advisory from the Brunei Currency Board, according to bankers. BANDAR SERI BEGAWAN, Monday, November 17, 2014 - BRUNEI’s gross domestic product (GDP) growth is predicted to be the lowest among ASEAN member countries for the period of 2015 - 2019, a report from the Organisation for Economic Co-operation and Development (OECD) stated. According to the OECD’S Economic Outlook for Southeast Asia, China and India, Brunei’s GDP is expected to grow an average of 1.6 per cent annually from 2015 to 2019. This is an increase from 0.9 per cent growth measured between 2011 and 2013. In comparison, for the same 2015 - 2019 period, Myanmar is expected to grow at 7.8 per cent a year, Indonesia at 6.0 per cent, Malaysia at 5.6 per cent, Thailand at 4.1 per cent and Vietnam at 5.7 per cent, Philippines at 6.2 per cent. Cambodia and Laos are forcasted to grow at 7.1 per cent and 7.6 per cent respectively.